China’s People’s Liberation Army is preparing to destroy U.S. computer and network infrastructure in future attacks and knock out satellites with microwave pulses, according to recently translated Chinese military writings. A senior colonel in the General Staff Fourth Department—the cyber warfare and electronic spying section known as 4PLA—wrote in one article that Chinese electronic network attack plans call for a “system of systems” destruction plan. U.S. cyber warfare combat capability “forms a great threat for our military in terms of carrying out joint campaigns and operations, and especially information operations,” wrote Col. Lin Shishan. The Department of Defense has confirmed foreign media reports that Russian troops are set to target terrorists on Americans soil as part of an unprecedented joint drill with the United States which will take place in Colorado next month. As we reported yesterday, Airborne troops from Russia are set to take part in drills focused around targeting terrorists at Fort Carson between May 24 and May 31. The soldiers will also be mingling with the local community, attending a baseball game in Colorado Springs during their stay. Although it marks the first time Russian troops will train on U.S. soil, soldiers from a plethora of different nations have been involved in similar drills for well over a decade. The Sun’s magnetic field is reversing, South becoming North, as it does approximately every 11 years on a cycle, but this time, something even stranger is going on: The North is moving much faster than the South, and space scientists aren’t sure why. Further, the asymmetrically reversing solar magnetic field could have an effect on Earth, resulting in increased solar flares and the accompanying bursts of radioactive particles called “coronal mass ejections,” or CMEs, that can hit Earth and cause brilliant Northern Lights displays and problematic geomagnetic solar storms, according to NASA scientists. 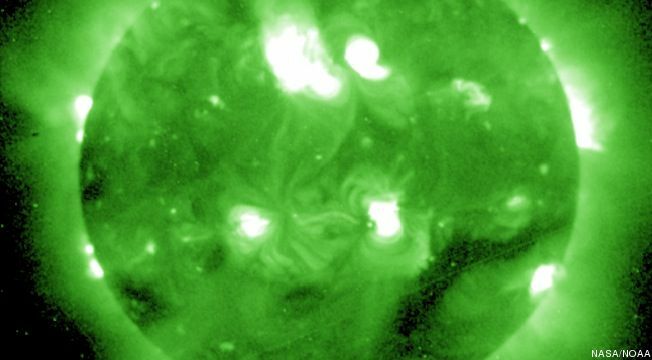 “This usually leads to a double peak in the sunspot number and CME rate as a function of time,” Nat Gopalswamy, a solar scientist NASA’s Goddard Space Flight Center in Greenbelt, Md., in an email to TPM. Immigration Minister Jason Kenney is in support of extending biometric ID requirements to permanent residents. He says he would consider amending his current omnibus immigration bill to include such a policy. OTTAWA — Immigration Minister Jason Kenney says he supports extending biometric ID requirements to permanent residents and would consider amending his current omnibus immigration bill to make it happen. “I think in principle, we should be doing everything we reasonably can to identify visitors or immigrants and ensure they don’t represent a threat to Canada’s safety, so biometrics is the best technical tool at our disposal and I think in principle, that it should be applied to not just temporary but also permanent residents,” Kenney said Thursday after testifying before a Commons committee reviewing Bill C-31, the Protecting Canada’s Immigration Act. Is your house driving you buggy? If so, you’re not alone. A national survey in the U.S. found that 84 percent of American homeowners experienced a pest problem in the last 12 months, which could make this a good year for pest control professionals. Slightly more than half of all homeowners think it’s essential to use the services of a pest control company. The top pest issues for homeowners in the last year were ants (49 percent), spiders (43 percent), flies (37 percent), mosquitoes (34 percent), mice (30 percent) and wasps (29 percent), according to a survey of more than 1,300 homeowners sponsored by Home Team Pest Defense, a residential pest control company. 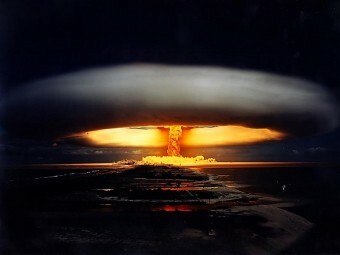 Russian-Chinese war games “Naval Interaction-2012” in the Yellow sea has entered its active phase on April 24. 25 warships, 13 aircrafts, 9 helicopters and 2 units of the special forces of the two countries participate in them. Taking into account the number of participating forces and the scenario, these manoeuvres are apparently the most large-scale in the modern history of bilateral relations. flagship of the Fleet – Guards’ guided-missile cruiser “Varyag”. China is represented by 18 military ships, including the flagship missile destroyer “Harbin”, and 5 missile frigates, including “Chzhoushan” and “Suyzhow”, which were performing combat tasks on distant borders escorting ships in the Gulf of Aden. The scenario includes joint crossing of a “dangerous” area, firing various weapons at sea and air targets, and rescue operations at sea. The ships will be covered from the air by deck helicopters Ka-27; and a sea infantry sub-unit of the Pacific Navy is placed under the detachment’s command in order to conduct special operations.